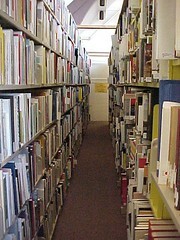 Posted under Books, Library on Thursday, August 30th, 2007 at 11:50 am, by Brian Herzog. Post and comments available via the RSS 2.0 feed. Both comments and pings are currently closed. Thank You! I’ve been saying this for years! If I can’t find it on the shelf, the book and therefore the information is lost!